Kunini has the expertise and experience to be able to carry out any electrical work for private residences, resorts, hotels and commercial buildings. 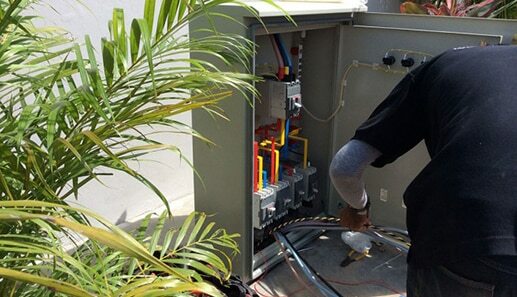 We work on both single and three phase systems including design, installation and maintenance. Our Electrical Business is our Core Service, we cater to Residential, Commercial & Industrial Customers throughout Thailand. We have a whole wealth of services that we are in certified and experienced in delivering. We have listed some below, however, if you are looking for something that is not listed, don’t worry, please contact us with details on what you are looking for and we will see if we can help. We have friendly teams who would be more than happy to talk to you about your bespoke requirements and the different options which are available for you to choose from. Whatever the work involved, we will have the right solution for you or your business. 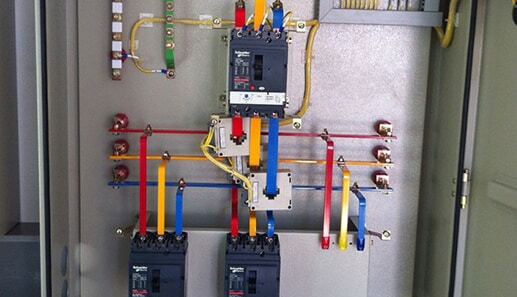 Our electrical design systems and services are available in Pattaya, Hua Hin and Bangkok. However, we do provide our services further afield but please contact us with your enquiry and we will be able to help you. We have extensive knowledge and expertise in the electrical industry which means we can also provide electrical surveys and inspections on all types of properties. 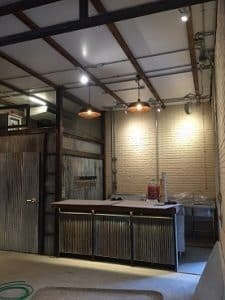 If you located in Pattaya, Hua Hin, Bangkok or anywhere in Thailand and you are looking for electrical design systems, electrical design services or electrical surveys or inspections, then please contact us today with your enquiry! Kunini carries out complete electrical inspections for all project types, the idea is to get a complete picture of the condition of the installed electrical system to determine whether any modifications or upgrades are required to bring the installation up to code. Sometimes it is necessary to re-wire a property if the installation is not safe and reliable and does not comply to local codes and standards. Kunini adopts the codes of the IEC and BS7671 18th Edition. Quite often there is no real electrical design, especially in residential properties, this can cause serious problems in regards to fire and shock hazards. Kunini can design a complete electrical system for any property type and its own in-house team can carry out the installation to a professional standard. A well-ventilated house/building is the key to good health and wellbeing, a well-planned ventilation system will replace the stale air in the premises with fresh air. There are many types of ventilation systems available depending on your property and requirements; passive ventilation, air handling units – energy recovery ventilation (ERV), inline fans with ducted systems and diffusers and intelligent passive fans with timer control, humidity control and automatic start / stop functions. Like every system, it’s best if we carry out a full survey and consult with you about your needs so that we can propose the best system or systems for your property. Kunini is a main dealer and installer for Futronix lighting control systems in Thailand. Futronix is a UK/Thai venture and a BOI registered company based in Chaing Mai, Thailand. Futronix has a large range of Dimmers and Switching Relays that can benefit any sized lighting project, either residential or commercial. See our Lighting Page for more information. Our EPM Program will help avoid the extra expense, disruptions and lost profits that can result from Electrical power failures within your property. Our EPM Programs range from a simple annual check-up / inspection for residential clients to monthly programs for factories or large commercial establishments. Do You Need an EPM Program? An effective Electrical Preventive Maintenance program will go a long way to help avoid the extra expense, disruptions and lost profits that can result from Electrical power failures within your property. It may seem overwhelming for many businesses or property owners to develop, implement and follow up on an EPM program. 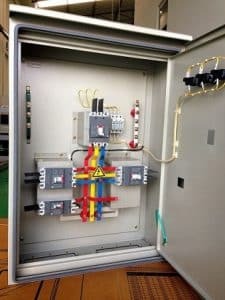 Electrical distribution and control systems are the heart of any business, development or private residence, yet it is often the most under-appreciated utility. Without a reliable source of electrical power, operations at any type of facility would not be possible. In spite of the critical nature of electrical equipment, regular scheduled maintenance is not always a primary focus for some. 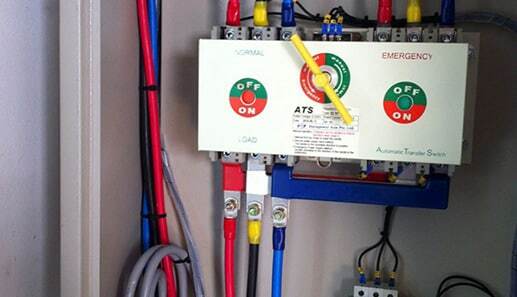 Do you have an Electrical Preventive Maintenance plan in place? Be sure to talk to us today for all your electrical system requirements, whether you are in Pattaya, Hua Hin or Bangkok! Kunini can design and supply an EV (electric vehicle) charging station for any requirement, whether it’s a single private house or villa that requires a single charging point or commercial property that needs multiple charging points. The installation of EV charging points is carried out to international codes with complete electrical protection installed as standard. Let us know what type of charging you need and we will arrange a free site survey and consultation to determine the best system for your needs. Kunini works with two back up power solutions, either a Generator Set or a Solar Hybrid Solution, both have their merits.. Kunini supplies Cummins Generators from small 15kVA sets to larger commercial sets up to 315kVA, the generators are three phase diesel sets, an ATS (automatic transfer switch) controls and manages the generator. Soundproof canopies or complete soundproof rooms with ventilation ducting are available depending on the project. We use the Smappee family of energy management products for futureproof energy management. Thanks to the Smappee energy monitors you always know how much energy you consume and produce, wherever you are. For more comfort, a better insight and sustainable energy savings up to 30%. Smappee works either as a stand-alone device or can be connected to your Solar PV System managing total power in the premises. Our ECDM service offers a turn-key solution for new projects and renovations. This ensures that your electrical system is designed correctly from the start and is installed and commissioned to a professional standard. Our electrical designs begin at the service intake point, the point where the utility stops, this means Kunini is able to take care for the main power requirements, including the High Volt System, Transformers, Medium Volt Systems, MDB Panels (main distribution panels) and all necessary wiring either underground or above ground and the power distribution within a project or for a single property; house, villa, condominium, factory etc. Electrical Consultancy – discuss the project requirements in detail with the client, this can usually take two to three sessions to complete, reviewed and a way-forward established. Design – after agreeing on the project concept with the client, Kunini will then proceed to design the electrical system. Depending on the project type this may be split into different designs for various parts of the project. The design phase includes; establishing load schedules, planning single line diagrams, planning electrical drawings, bill of materials (for budget purposes) and scheduling. 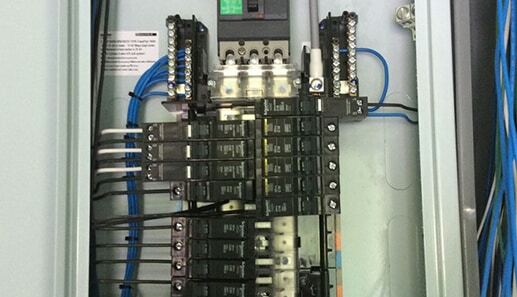 Our electrical designs are compliant with IEC and local codes. Manage – Kunini can manage the entire project, there are two options; 1) the client chooses to use their own team (in-house), with this option Kunini would plan the job and will schedule stage inspections; each stage would need to be completed before the team can progress to the next stage. As an example; first-fix, stage1. conduit installation: all of the conduits, boxes etc. would need to be installed according to the plan / design before moving to the next stage. Kunini would inspect this to ensure that it has been installed correctly, using the correct materials, and that it matches the design. 2) Kunini would use its in-house team or may sub-contract some of the work. 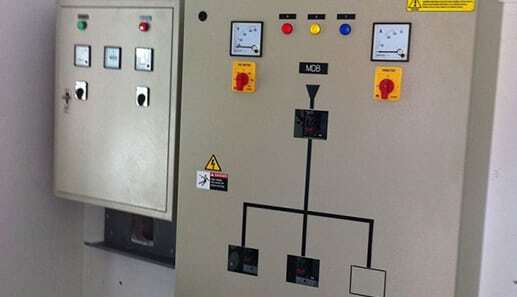 In the case where a client uses option 1, Kunini would manage the entire project, stage by stage including supervising the installation of switch gear, second fix materials, testing and commissioning. Every electrical system should have protection built into it, by protection we are simply stating that protection be built into or added to existing electrical systems to protect people against electrocution (shock hazard), and the property against the risk of fire (fire hazard). Installing an RCD type device gives us protection against shock, but this needs to be installed correctly to ensure that it functions as it should and does not cause nuisance tripping. An RCBO type devise gives us the same protection as an RCD but with the added overload protection. Overload protection protects against fire; overload / overheating of conductors and switch gear. As with the RCD, the RCBO needs to be specified correctly (current rating) and installed correctly to be effective. 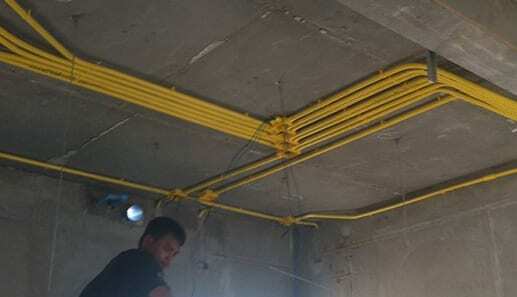 All electrical installations need to be grounded, in Thailand that means installing a ground rod at the Consumer Unit or Distribution Board, a link between the Neutral and Ground Bars may also be required depending on the installation. All electrical equipment needs to have a ground wire that is installed then home run back to the CU or DB. 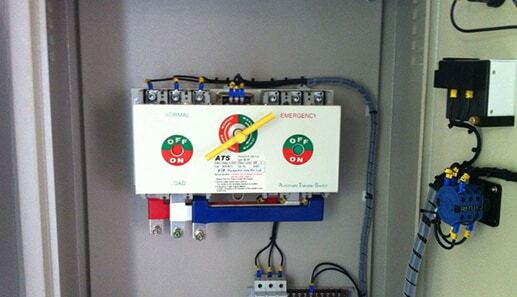 Another type of protection is Surge Protection, this is installed to protect the electrical installation from any power surges or transient lightning strikes, depending on the installation one or more SPD’s (surge protection devices) may need to be installed. In addition to surge protection, Lighting Protection may also be required to protect the property from direct lighting strikes, this can come in the form of simple copper rods (or stainless), on the roof with a series of down conductors connected to ground rods or a more sophisticated Early Streamer System ESE (Early Streamer Emission Technology), which is a single pole on the roof with a ESE head on the top. These systems are normally installed on commercial buildings, industrial buildings, factories etc. No matter where in Thailand you are located, whether you are in Pattaya, Bangkok or Hua Hin, then let Kunini provide you with electrical design systems and services. All of our work is carried out to an exceptionally high standard, all of our clients are left with a 100% completely finished project which has meant our business has grown due to referrals and recommendations. Our complete electrical Surveys and inspections are available for all project types too so please don’t hesitate to contact us. 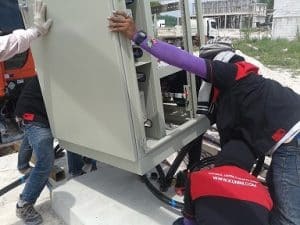 In Thailand, especially away from the main cities, rural power is always an issue due to either poor infrastructure or over demand on current installed systems. When we discuss power distribution for a project, Kunini will always look for the upmost economical way for you to achieve your objectives. We will almost always suggest some form of redundant power supply for back up and emergency purposes. We can supply single or three phase generators that provide stand-by or primary power or offer a combined Solar PV and Generator solution for sites that are far off the grid. Today’s modern homes use more power than in previous years. Although there are a wealth of energy saving options on the market, most domestic households still use a lot of power especially for the heating; hot water and cooling; such as air-conditioning. Until very recently a typical set up in a domestic situation may include the existing power grid, for daily power usage with a small generator for emergencies. The generator could only power a few lights, a fan and maybe a refrigerator. Larger generator sets could also power some air-conditioners, water pumps and heavier loads. The generators would typically be single phase and run on petrol. Larger houses or villas would use either single or three phase generators that were powered by diesel with fancy Automatic Transfer Switches and soundproof canopies. Today, with the introduction of modern technology and especially renewable energy, a domestic or commercial property can obtain its power from a combination of solar power, batteries and a generator which is known as a hybrid system. During a new installation the loads are able to be separated into low power loads for lighting, fans, a small refrigerator etc. and high-power loads for the air conditioning and hot water. A system can be put in place using a hybrid inverter that uses a PV array with a battery bank for the low power loads and a direct connection to the grid for the high-power loads. The Hybrid Inverter should have a grid connection for emergency charging of the batteries or a small generator could be installed. As you can imagine, system design is critical to ensure that the right combinations are selected. We are available for consultation on any power distribution package the client may wish to investigate. Structured cabling can refer to any cabling (wiring) required for the modern home, this ranges from audio visual systems, multi-room audio, home theatre, security, CCTV, telephone, networking and more. 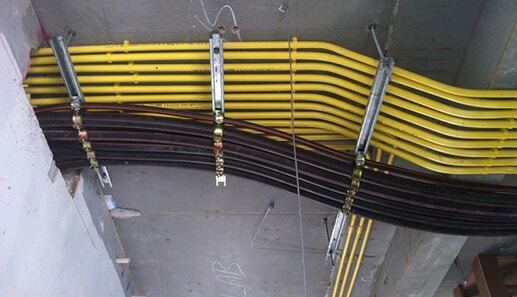 When we design the electrical system for any project we will always consult with the owner, architect and developer to get a clear picture of what systems are being planned for the building to ensure that no cables get left out and also that a few spares are always installed for the future. There is nothing worse than forgetting a cable for a particular system then having to run it at a later date causing a lot of disruption and mess. In a modern home it is standard practice to run Cat6 cable to each TV point for streaming of live TV and movies. Kunini has a wealth of experience of installing structured cable systems and we understand the rules associated with each installation such as separating power from network cables, standard run lengths for different types of cable and the type of cable required for each system. In a modern home there may be three or more separate conduit runs for different systems as each system generally needs to be separated from another. Examples of this are power and network systems, these can be run parallel as long as a certain type of network cable and conduit is selected but cannot cross over as interference can occur on the network. Any cabling required for TV systems which is generally Coaxial RG6, will need to be kept separate from power cables due to interference. A modern trend is to use fiber optic cable for communication and TV systems which eliminate interference, however these are still relatively expensive due to the equipment which is required to operate it. 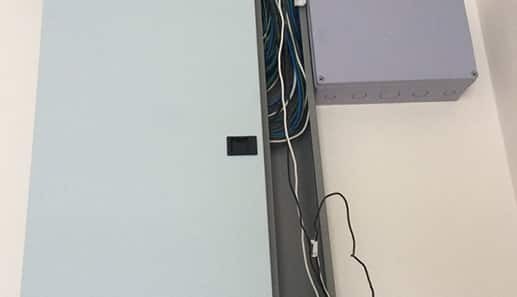 Fire Alarm cabling needs to be run in separate conduits and clearly marked FA (fire alarm), all junction boxes need to be sprayed or painted red. In commercial fire alarm systems, the conduit should ideally be an EMT type and the cable should be fire retardant, special fire alarm cable is also available, but this tends to be very expensive, especially in Thailand. Statement, Please Note: Kunini does not design, install, supply or commission any alarm systems (except commercial fire alarm systems), security system, cctv system, network system, or specialized audio systems. However, Kunini has contacts with these suppliers and can work with them to design your system. Kunini can then install the infrastructure necessary for these systems under our electrical contracts.